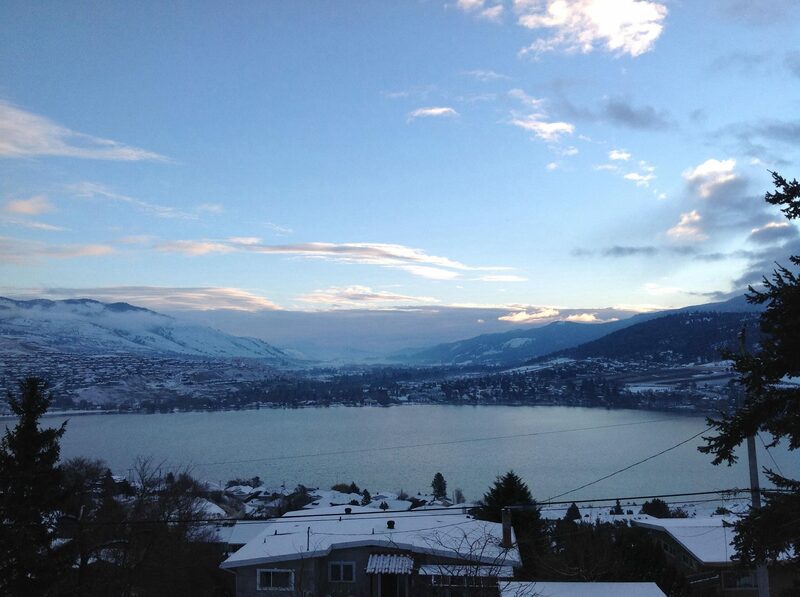 We are now in Coldstream just south of Vernon for a full week of snowboarding (Alison skis) and nordic skiing. 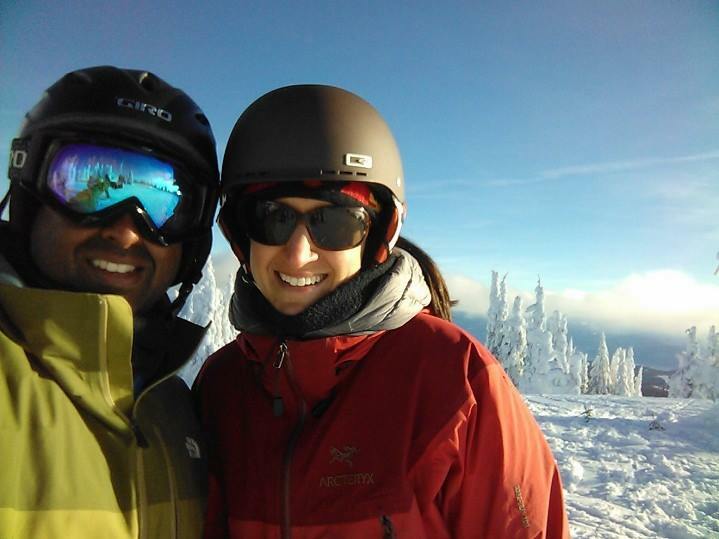 Washington ski resorts have not had good luck in December, with low snowfall. Even the Methow Valley, a world-class area for nordic skiing, has had little snow and a ski camp Alison was hoping to attend before Christmas was cancelled. We wanted to ensure good snow conditions, and opted to head north. Vernon was an easy 7 hour drive, including rest stops and a short lunch break. 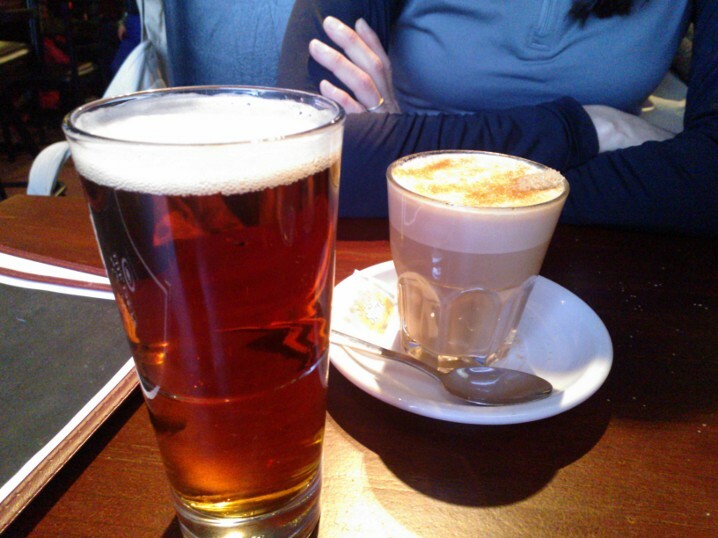 Most people opt to head to Whistler for a ski holiday, we wanted to try a different spot. Silver Star is adjacent to Sovereign Lakes, which is considered North America’s largest (and they claim “Best”, but who really knows…) nordic skiing center. There are over 100km of groomed trails across both locations in the Okanogan Valley, an area known for peach orchards and wine during the summer. The dry/light snow is very different from the heavier coastal snow that is common at Whistler or in Washington. The snow conditions are just a bit heavier than Oregon’s Mt. Bachelor in my opinion. Our lodging is a cute little AirBNB in a small town called Coldstream about 2km from Vernon, which is about 25km (30 minutes drive) from the ski resort. We have three private rooms in a house, with a private entrance, hot tub, sitting area and two bedrooms. The view from the bedroom is remarkable. All this for less than the price of a cheap motel. Oh yeah, the dogs are here too. We prefer to stay in AirBNB’s if they are available. They tend to be good price/value, well located and much more convenient to stay in when traveling with dogs. View from our AirBNB in Coldstream, BC. So far we have snowboarded/skied three days. Silver Star has a lot of terrain, and 10cm of fresh snow the day before we arrived made for great conditions. It snowed again 8cm just before our second day on the mountain which meant two great days of powder/lightly packed powder. Our third day – Christmas Day – still had great snow conditions, albeit more firmly packed. It really takes about three days to explore all the terrain, even with short wait times for the lifts. Many of the runs are super long – with the longest being 5km (it’s a long and winding cat-track, boring and not good on a snowboard) and many long enough that I had to take a break part-way down to let the lactic acid clear from my legs. After 8-10 runs we were pretty much done for the day. If you are used to skiing at Snoqualmie Summit or even Steven’s Pass or Crystal, this is a huge step up in my opinion. 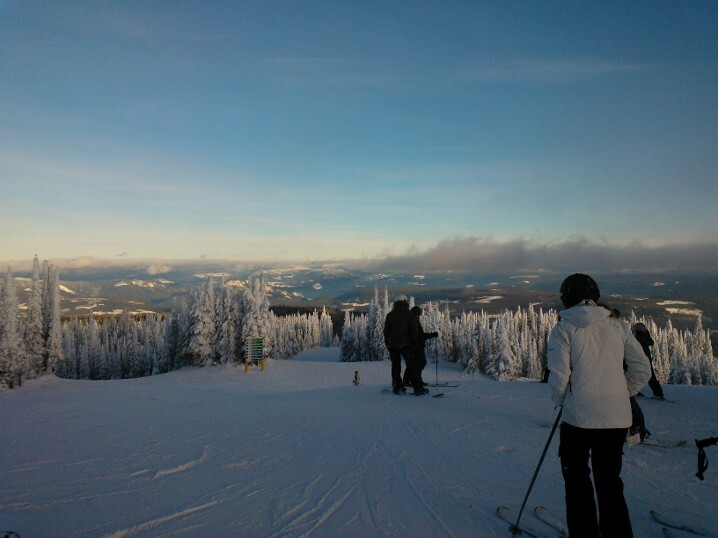 View from Comet Express lift at Silver Star. The backside of the mountain is more extreme, we checked it out but opted to stay to the intermediate runs on the front of the mountain, where the sun was shining. There are a few blue runs on the back, but is mostly black and double-back diamond, and is shaded during the midday. There is also a cool village atmosphere at the base of the ski lifts. If you visit, which I highly recommend, there are several hotels with ski in/out access. If we didn’t come up here during the peak holiday season, with high rates and everything sold out, we would have done that a few nights. Another benefit of Silver Star is the lift lines. Only one lift, Comet Express, had any lines and it moved along pretty quickly. I was expecting some big crowds for the Christmas holiday but it really wasn’t bad. Today we are heading up to Sovereign Lakes for nordic skiing. I anticipate to last about an hour and a half before retiring to lodge and a warm drink, Alison will surely be gone all day!